Biochar is a carbon-rich porous solid material derived mostly via pyrolysis of lignocellulosic biomass. Given the origin of carbon in biochar, large-scale production and utilization of biochar are considered a viable means of carbon sequestration and storage. Nature has been producing biochar via forest fire long before the arrival of humankind on Earth, and benefits of biochar to agriculture have been realized by humanity for thousands of years. Today, soil amendment remains the most important application of biochar by total usage. Biochar and its precursor-biomass have also been used as carbon neutral energy sources. Recently, there has been a rapid expansion of its application area, driven largely by its availability, diversity, hierarchical porous structure, tunable surface chemistry and bulk physical properties. 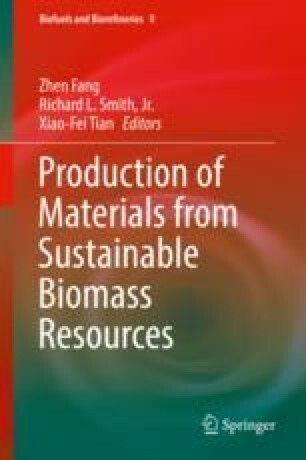 In this chapter, a state-of-the-art overview in biochar production, characterization and applications in non-traditional areas is given. On the production side, the emphasis is on pyrolysis – the primary production method, specifically the effects of pyrolysis conditions on biochar yield and characteristics. Characterization methods include ones for both pores and carbon matrix in biochar, such as pore size distribution, surface chemistry, morphology, crystallinity and bonding structure. Alternative applications range from environmental remediation, electrical energy storage, through electrochemical sensors to catalysis. While biochar’s potential in clean environment and sustainable energy has been widely demonstrated, new applications are emerging everyday, promising a bright future for biochar research and development.